In the fight against opioid abuse, Nova Scotia is focusing on saving lives, while doctors update their prescription practices. “Our immediate steps were necessary to keep people alive,” said Dr. Robert Strang, Nova Scotia’s chief medical officer and co-leader of the Opioid Use and Overdose Framework. Opioids are a drug used for pain management, but can also make people feel relaxed and euphoric, which can lead to addiction. 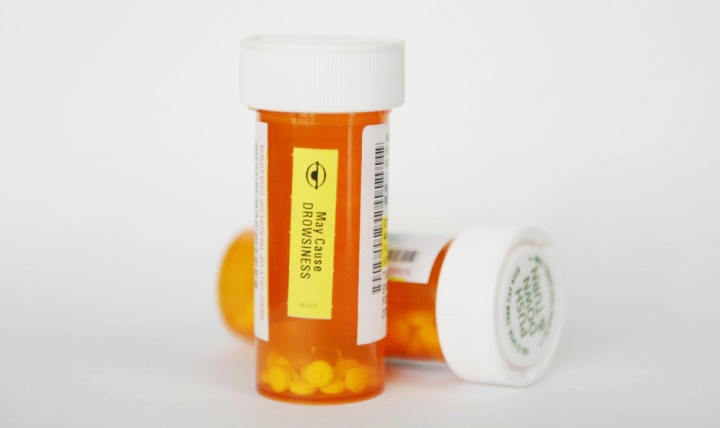 Opioids, when obtained illicitly, may contain other substances that cause serious health risks. Nova Scotia’s Department of Health and Wellness released the Opioid Use and Overdose Framework in 2017 to address the problem of opioid use and prescription practices. “The real urgent issue is the contaminated street drugs supply because that’s what’s killing people,” said Strang. This year in Nova Scotia there have been 33 confirmed and 13 possible deaths from opioid toxicity as of Nov. 1. In 2017, 63 deaths occurred. The government is treating addicts by distributing naloxone kits to pharmacies and first responders, expanding treatment facilities through additional funding, and expanding access to needle exchange facilities. A provincial leadership committee was created in October 2016 to respond to Canada’s opioid problem. The Nova Scotia government has invested over $1 million into needle exchange sites, another $880,000 to expand opioid use treatment, and distributed over 5,000 naloxone kits. Naloxone kits immediately reverse the effects of an overdose and have reversed 90 overdoses as of August. Needle exchange facilities allow people to receive clean, unused needles at no cost, which helps prevent infections and diseases. Dr. John Fraser has over 30 years experience with pain and addiction management; he agrees with the province’s steps so far. Fraser works at Direction 180, a methadone treatment facility for addicts, the North End Community Health Centre and at the Pain Management Unit at the Queen Elizabeth II Health Sciences Centre. “The three areas that are most important, when we’re talking about the addiction crisis, are access to the naloxone kits, access to needle exchange programs and access to appropriate treatment,” said Fraser. The next step is harm reduction, said Strang. This will involve de-stigmatizing opioid users and using specialty courts to support addicts who commit crimes. Fraser runs a seminar that teaches doctors about the risk of prescribing opioids and this course has been offered over 30 times throughout Atlantic Canada. He also launched a program in early 2017 at Dalhousie University’s Faculty of Medicine for residents who will prescribe opioids to patients. In Nova Scotia most opioids used are prescription, said Fraser. Most people who are addicted currently say their first experience with opioids were ones that were prescribed to them, and Fraser believes them. A recent study looking at opioid-related deaths in Ontario showed that more than half of those deaths in 2016 involved prescription drugs. Those with a personal or family history of addiction, a mental health issue, or who have experienced a childhood trauma are considered to have a high risk of addiction. If a person does not have any of those risk factors “then it’s very rare to develop an opioid use disorder,” said Fraser. Fraser believes the only reason to have the course is to change prescribing practices, though he does not know if there has been a long-term effect. The Prescription Monitoring Act of 2004 was passed to stop the misuse of monitored drugs that could be abused. A monitoring program was established in Nova Scotia in 2005 to track the prescription of opioids and other drugs. In Nova Scotia the rate of prescribed opioids decreased by 12 per cent from 2016 to 2017, making it the second largest decrease after British Columbia, according to a Canadian Institute for Health Information study. It’s hard to know if this is a positive change, said Fraser, as there are people who need opioids and aren’t able to get the treatment they need. The provincial government has made a commitment for additional funding to support opioid use disorder treatments, needle exchange sites and further training for officers involved in opioid investigations. For addiction related help call 211 or visit http://ns.211.ca/.